student of Peter Paul Rubens in the 17th century. If you were asked, "Who were the of the most influential writers of the Middle Ages and Renaissance?" certain names would come to your mind: Aquinus, Copernicus, Christian de Pizan, Machiavelli, Martin Luther, Galileo, da Vinci, and… Paracelsus? If he isn't on your list, perhaps he should be. 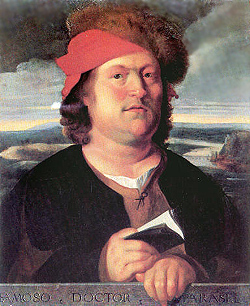 Philipus Auroleus Theophrastus Bombastus von Hohenheim, known as Paracelsus, is one of those names that most of us have heard but have little idea what he did or when he did it. We may know that he had something to do with medicine or alchemy, but most people would be hard pressed to tell you anything more about the man. Yet, of all the great minds of the early Renaissance, he was probably the most adventurous, arrogant, rebellious, and well-known genius of his time. His life story reads like an epic novel, filled with life and death struggles, close calls, wealth and poverty, religious and legal battles, obscurity, and incredible fame. He was widely traveled. He wrote many scientific books on subjects from astrology to mining but was best known for Der Grossen Wundartzney ("Great Surgery Book"). He was so charismatic t,hat he got away with offenses that would have condemned others to the gallows or the stake. During an age when modesty was eschewed and bragging the norm, Paracelsus was in a class of his own. He shamelessly self-promoted and his middle name Bombastus has become the synonym for inflated speech. He challenged the established medical practices of the Middle Ages and introduced new concepts in medicine, like environmental toxicology and psychoanalysis, that were ages ahead of his time. by van Hemessen, 1555, Prado Museum. a man's forehead outdoors in the sunlight. Philip von Hohenheim was born on November 11, 1493 (some biographers say December 17), in the Swiss village of Maria Einsiedeln. His father, Wilhelm Bombast von Hohenheim, was a doctor and chemist. After his wife's death, Wilhelm and Philip moved to Villach, Austria where the young boy attended the town school to learn mine supervision and metallurgy. He graduated at 14 years old in 1506 and went on to study at universities in Basel, Cologne, Heidelberg, Leipzig, Tübingen, Vienna, and Wittenberg, but none met his expectations. He would later write that he wondered how "the high colleges managed to produce so many high asses." He realized that the "universities do not teach all things" and that life experience was more valuable than the dry study of ancient books. 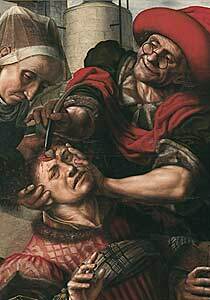 Instead of becoming a physician to the wealthy like his fellow graduates, Paracelsus chose to serve as a humble army surgeon in the Netherlands, Britain, and later in Italy. Here his own observations in real life came into conflict with his learning. Treatments like bloodletting made patients weaker, so he abandoned the practice. He sought to understand the truths not taught in the university by becoming something of a nomad. Whenever he heard of great teachers—whether in medicine, science, astrology, or hermetics—he traveled to learn from them, supporting himself along the way as an itinerant physician and astrologer. His wandering took him through Germany, France, Hungary, the Netherlands, Denmark, Sweden, and Russia, where he was captured by Tartars but eventually escaped to Lithuania. 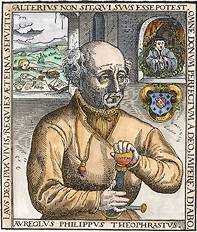 According to A. Cochran, author of Alchemy Rediscovered and Restored, Paracelsus was "brought before the Grand Cham [Khan] at whose court he became a great favorite. Finally, he accompanied the Cham's son on an embassy from China to Constantinople, the city in which the supreme secret, the universal dissolvent (the alkahest) was imparted to him by an Arabian adept." Some said that this was just a tall tale; but even his enemies admit that Paracelsus was the first European to use opium in medicines, a technique he learned in China. Paracelsus also journeyed to Arabia, Egypt, and the Holy Land to learn about effective medical treatments and to discover "the latent forces of Nature." Traveling gave him time to think and write. Here are some quotes from his works. "The universities do not teach all things, so a doctor must seek out old wives, gipsies, sorcerers, wandering tribes, old robbers, and such outlaws and take lessons from them." texts over 500 years old. His writings are filled with a belief that everything that exists—heaven, earth, creatures, humans, spirits, the whole universe—is God and nothing can separate God and man. He said, "Man is a microcosm, or a little world, because he is an extract from all the stars and planets of the whole firmament, from the earth and the elements; and so he is their quintessence." Paracelsus returned to Europe in 1524 and found his writings and stories of his miraculus cures had made him famous already. He was given a chair at the University of Basel, but ended up making enemies of the other faculty because of his unorthodox methods. 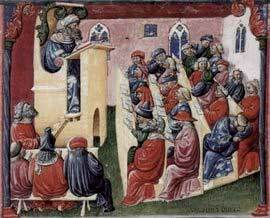 He insisted on teaching in German and rejected a good deal of the curriculum. He attracted crowds of students from all over Europe. He lectured and wrote in German instead of Latin. His classes were filled to overflowing. 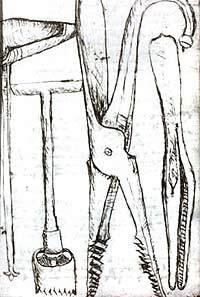 He ridiculed the current methods of treating wounds and correctly advocated keeping the wound clean and free of infection so that nature herself could heal the body. "Once a disease has entered the body, all parts which are healthy must fight it: not one alone, but all. Because a disease might mean their common death. Nature knows this; and Nature attacks the disease with whatever help she can muster." the pommel of a sword. He also lectured on the interaction between the mind and the body and how the demeanor of the physician can affect the recovery of the patient. He was the first physician to write about the unconscious mind and how imagination can affect disease, even among children. "A disgraceful affair. One Liechtenfels, a canon, having been rescued in extremis by the 'laudanum' of Paracelsus, refused to come down with the stipulated fee, and was supported in his meanness by the authorities." His enemies used this opportunity to oppose him openly. In fear for his life, Paracelsus was forced to flee in the middle of the night with only the clothes on his back. He was so reduced to poverty that he had to rely on the kindness of his few friends and supporters for the next nine years. He moved often, and didn't stay in any town more than one year. He spent his time revising old manuscripts, and wrote new ones, but had trouble finding publishers. In 1536 he finally published Der Grossen Wundartzney, which restored his reputation practically overnight. Of past and future mountebanks. Paracelsus is better known today for his books on alchemy. He began his studies in the subject as a boy, and was already familiar with the prominent writers of his time before he entered the university. In his own books, Paracelsus describes alchemy as the fundamental truth behind all things, whether material or spiritual. All things were in the process of change, and the symbolic reference that he used for change was Vulcan, the Roman smith-god who, by the application of heat and force, changed one substance into another. He also used Vulcan to describe anyone who changed one thing into another, whether an alchemist or a cook. Unlike others before him, Paracelsus carried this symbolism over to other disciplines like medicine, art, and spirituality. "God created iron but not that which is to be made from it… He enjoined fire, and Vulcan, who is the lord of fire, to do the rest… From this it follows that iron must be cleansed of its dross before it can be forged. This process is alchemy: its founder is the smith Vulcan. What is accomplished by fire is alchemy—whether in the furnace or in the kitchen stove. And he who governs fire is Vulcan, even if he be a cook or a man who tends the stove. The same is true of medicine. It too was created by God, but not in its finished state, but still concealed in dross. To release the remedy from the dross is the task of Vulcan. And what is true of iron is true of the remedy. What the eyes perceive in herbs or stones or trees is not yet a remedy; the eyes see only the dross. But inside, under the dross, there the remedy lies hidden. First it must be cleansed from the dross, then it is there. 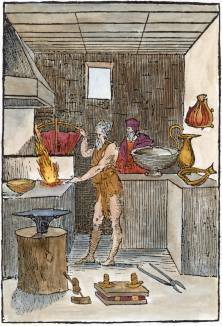 This is alchemy, and this is the office of Vulcan; he is the apothecary and chemist of the medicine." the weight of a bishop's miter. "I bear in mind that you may not believe me when I tell you that my (at this time) despised writings shall yet be held in great value and esteem by wise and judicious men." "I say that then there shall overflow as the waters of a mighty river all kinds of revolts, riots, wars, slaughter, murders, conflagrations and all evil into the northern countries." "Then will the Lily be altogether decayed, exhausted and cast down." "In the same wise will the Eagle be plucked, dishonored, insulted and despised." "Good times shall then be. Fruit and what is necessary for life will thrive, but the poor will enjoy little thereof." He was right about how his fame would grow. More of his books were published after his death than during his lifetime. However, there are more statues of Gutenberg than of Paracelsus, though their contributions in their fields are equally great. If Gutenberg was the father of modern printing then Paracelsus surpassed him because he was the father of many more children—modern surgery, toxicology, chemotherapy, homeopathy, and psychotherapy, just to name a few. If you want to add this article to your list of favorites or email it to a friend, please use this permanent URL, https://stores.renstore.com/-strse-template/0811A/Page.bok. Permission is granted by the author to quote from this page or use it in handouts as long as you include a link back to Renstore.com.